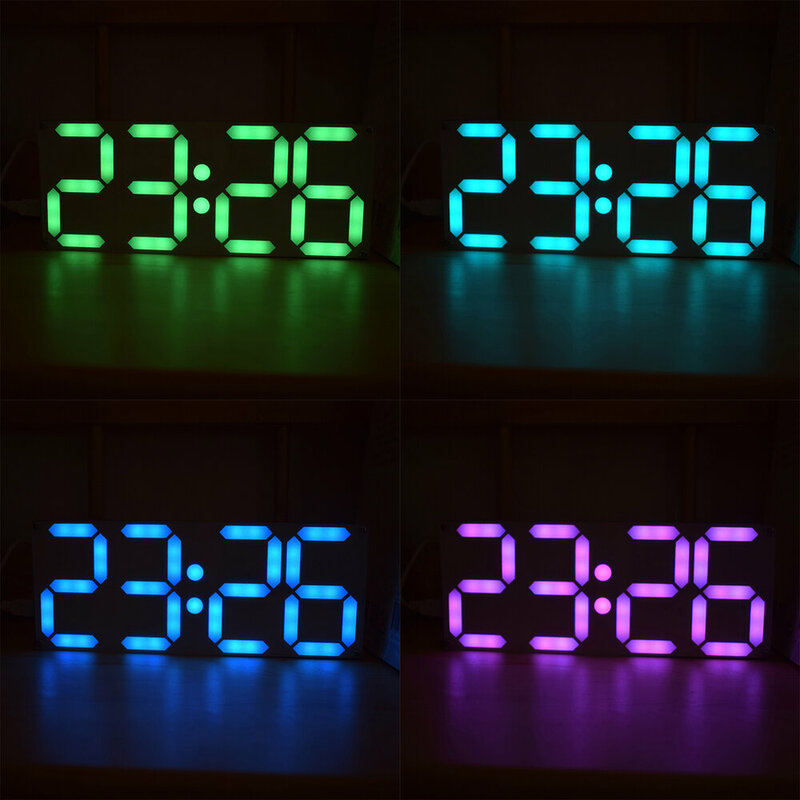 This is an adjustable color rainbow clock, each of which digit can be adjusted to a favorite color, or set to a different color gradient aurora effect, each segment of each digital tube number is in a gradient, a clock can be displayed All the colors of the rainbow. The large digital display design makes the color display more abundant, and the built-in 13 menu settings can be set to different functions and effects. Overall size: 80mm x 200mm x 15mm. 2. Short touch switch button (triangle symbol) can switch time setting (Time) - date setting (Date) - alarm setting (Alarm) - format setting (Format) - switching animation effect setting (Display) - setting information switching duration (Speed) - Midpoint Colon Bounce Effect Setting (Midpoint) - Color Gradient Effect (Color) - Color Gradient Speed (Color Speed) - Voice Switch Setting (Voice) - Brightness Setting(Brightness) - Time Digital Variation Effect Setting (Move) - Countdown setting (Count). Short press the set key (circular symbol) to enter the setting, and then modify the parameter value by switching the key (triangle symbol). Hour (hour format): 24h-24 time mode; 12h-12 time mode. Date (date format): M-DD: month-day mode; DD-M: day-month mode. 13. Countdown setting (Count): Enter the minutes and seconds, press the setting button (circle) to start the countdown, the countdown ends the buzzer, and any touch button to exit the countdown.